But, Chris persevered. The Twittersphere realized the power of the hashtag when people started adding #sandiegofire to their tweets about a San Diego fire. Suddenly, it all made sense. Other Twitter users saw the value of adding hashtags to follow and engage in topical conversations on the network. In 2009, Twitter made it possible to search via hashtags, which meant anyone could find accounts to follow or participate in conversations via hashtags. These days, everyone knows how useful hashtags are in finding relevant content. It’s easy to use a hashtag like #contentmarketing to find thousands of posts about that topic. Yet, when hashtags are misused, viewers find themselves sorting through stacks of posts looking for something specific. On the flipside, content producers who misuse hashtags struggle with having their content ignored. Hashtags are now commonplace in the social media landscape. Besides Twitter, they’re essential on Instagram, and they’ve found their way on LinkedIn and Facebook too. 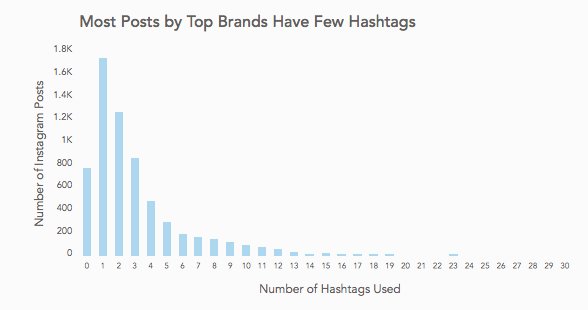 Proper hashtag usage is essential for brands to track mentions and respond effectively. They’re also important to keep an eye on industry trends, and the competition. Here’s how to use hashtags effectively on each of these platforms, so you can optimize your social media strategy. Let’s start at the beginning. As mentioned above, a Twitter user came up with the idea to help him and other participants categorize their tweets surrounding a topic, whether event, conversation, or otherwise. Without the hashtag, conversations could be lost, and the only way to find great content was to follow people and hope they provided it. Hashtags brought structure to the fledgling social media network and made it easy to categorize conversations. It wasn’t long before event organizers realized this was a great idea. You can build awareness, excitement, AND categorize messages surrounding an event simply by adding a hashtag. So, while #barcamp may have been sufficient in the beginning, it wasn’t long before #barcampphilly09, etc. became a thing. In fact, whispers of “Is there a hashtag?” could be heard as people entered a venue and wanted to tweet their whereabouts. 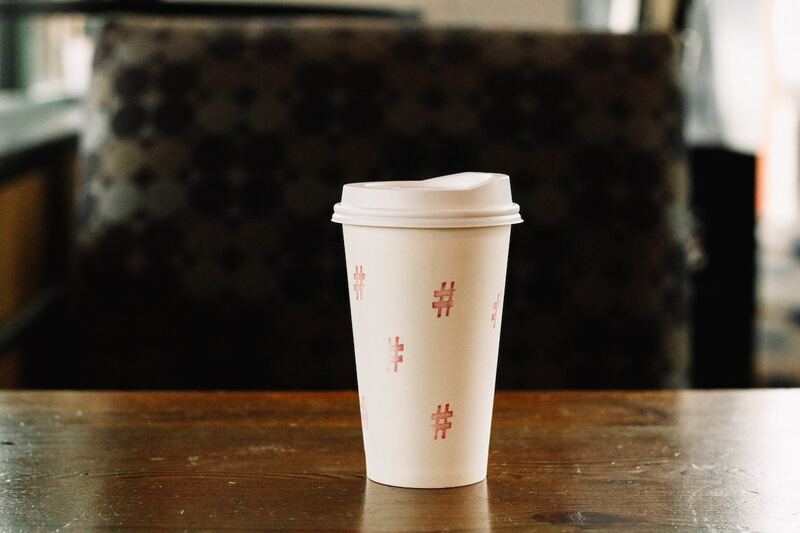 Now, locations and brands have claimed their hashtags. Branded hashtags allow companies to see what customers are saying about them, and engage in real-time conversation. However, there is a risk to overusing hashtags on Twitter. Marketing analytics company TrackMaven discovered that engagement drops if you use more than two hashtags. Those with 18 characters or less perform well. So, less is better here. To find relevant hashtags, use the search function on Twitter to type in #topic. Since Twitter is a public platform, you’ll see all the hashtags related to that topic. You can follow brands, conversations, and even engage in topical Twitter chats. Turn Twitter chats into lively discussions on a particular topic, to occur monthly or weekly depending on who runs them. If two hashtags are good, thirty must be better, right? At least that seems to be the thinking with the popular visual social media network. Instagram is hashtag driven, as anyone who’s ever looked at it can attest. Since we’ve already established that hashtags are a way to categorize your content so you can find and be found, you’ll want to create an Instagram hashtag strategy that makes sense for your brand. You can start by going to the search bar and typing in #yourtopic. Instagram will show you all the photos and videos with that hashtag. For example, if you run a juice bar in San Diego, then #freshjuice, #cleaneating, #sandiego are hashtags that can help you be found by your potential customers. Though you don’t need to limit yourself to 2 or 3. Instagram is the one tool where you can go a little crazy in your use of hashtags. There have been studies, but there’s no agreed upon “perfect number.” However, Instagram’s limit is 30. The best thing you can do is experiment to find what works best for your Instagram account. Fortunately, it doesn’t take long to collect useful data. For example, if you have a business Instagram account, then you can view your analytics to see how many people saw your post. You can even see your post’s reach and how your post was found, including a “from hashtag” metric. You can change up your hashtags to see which bring you the best results, then focus on those and drop the rest. The best way to find the ones that work for your business is to watch what your competitors and customers use, and include those. You can even follow hashtags to find more topical accounts and put clickable hashtags in your bio to help people find you. As you can see, there are lots of ways to use hashtags on Instagram. Unlike Twitter, using more than two hashtags on Instagram is good tactic for increasing your engagement and follows. Facebook is a bit different when it comes hashtags. For one, Facebook profiles are often private, instead of public like Twitter and Instagram. The privacy settings on Facebook mean that most people use hashtags on their profiles to be tongue in cheek as they make a joke. Since their profiles are private, these hashtags won’t show up on a general search, but only among their friends. To search for hashtags on Facebook, do head to the search bar just like on Twitter and Instagram and put in the topic you’re searching for, #hashtags, for example. You’ll get all the public facing hashtags on brands and influencer profiles. You can also click on an individual hashtag to see more related posts. It is recommended that you use no more than 1-2 hashtags on Facebook. Many Facebook users are not hashtag savvy. In the past year or two, LinkedIn has gotten into the hashtag game. It’s now encouraging users to follow certain hashtags and to add them to their posts. These tend to be broad, topical hashtags, like #business or #marketing. You can add hashtags to your articles and updates on LinkedIn to help your content be found easier. 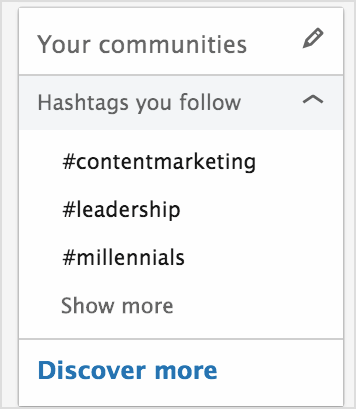 While LinkedIn will suggest certain hashtags, you can add more specific ones by doing a search. You may find industry specific hashtags that narrow your niche. Best practice on LinkedIn is to add up to six hashtags. #MontegoBay18 is easier to read than #montegobay18. 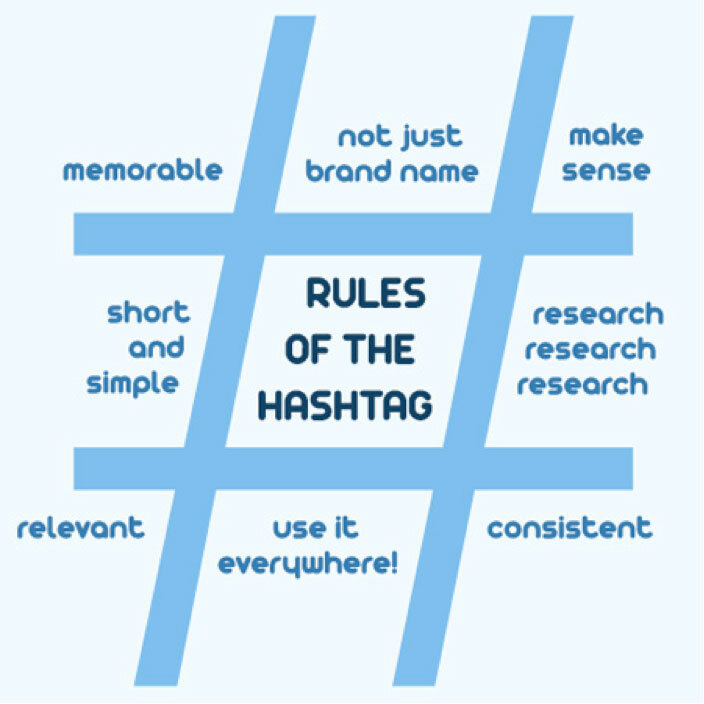 A misspelled hashtag is a wasted effort, because your content is less likely to reach the intended user. As you can see, using hashtags to find and categorize topics is not new. The practice started on Twitter where it because a mainstay, though it wasn’t until Instagram appeared in 2012 that another social media network really adopted them. Facebook and LinkedIn have been late adopters of the hashtag. In 2019, creating a solid hashtag strategy – especially on Instagram – is key to increasing your followers and engagement. Are you using them as well as you could?